Uglyworld #613 - A Quick Espresso (175-365), originally uploaded by www.bazpics.com. 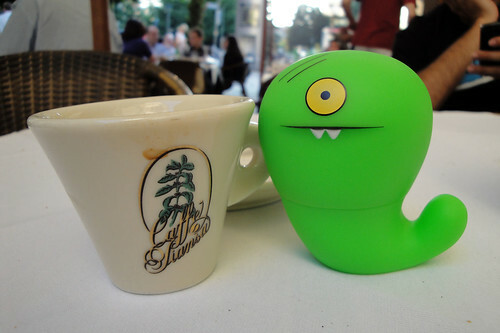 Uglyworm was on my case tonight to let him come with us to the restaurant Tizio in Freiburg as he heard they made some nice "nosh" as he decided to put it. After scoffing some spaghetti he finished it off with a quick espresso and then reminded us that tonights football was due to start in 5mins.